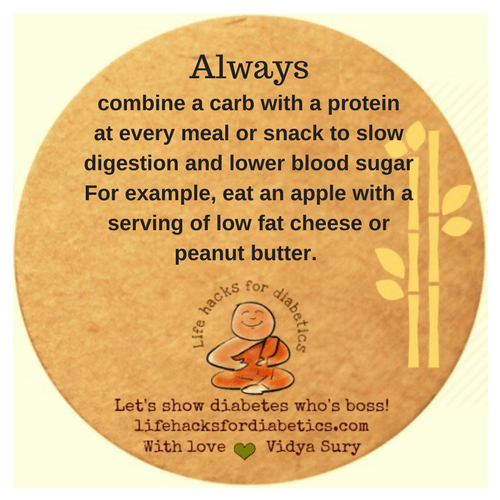 ALWAYS combine a carb with a protein at every meal or snack to slow digestion and lower blood sugar. For example, eat an apple with a serving of low fat cheese or peanut butter. I can tell this will be an informative blog for those who need this information. Thanks.